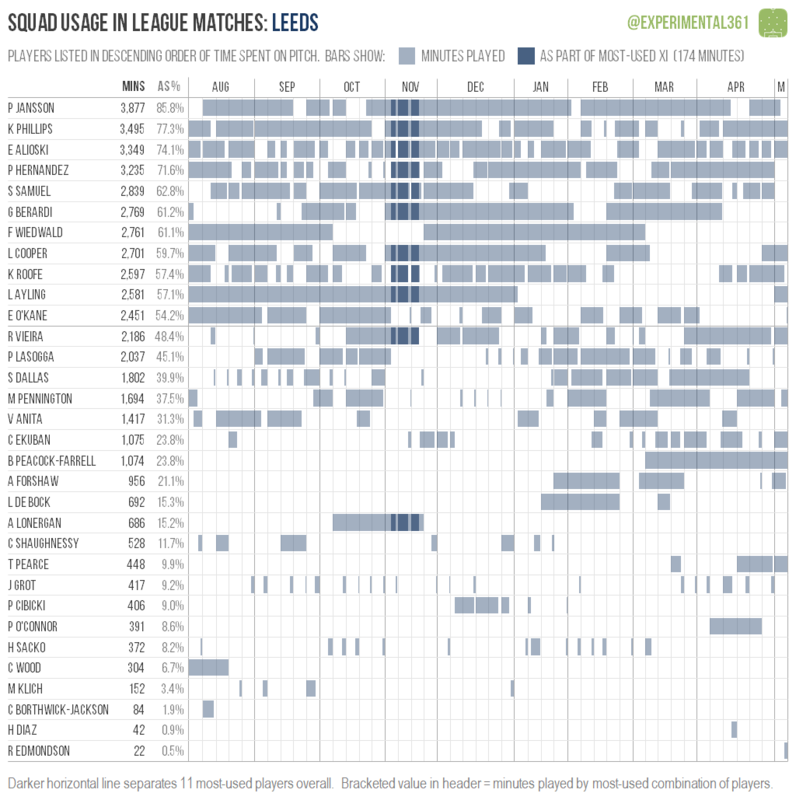 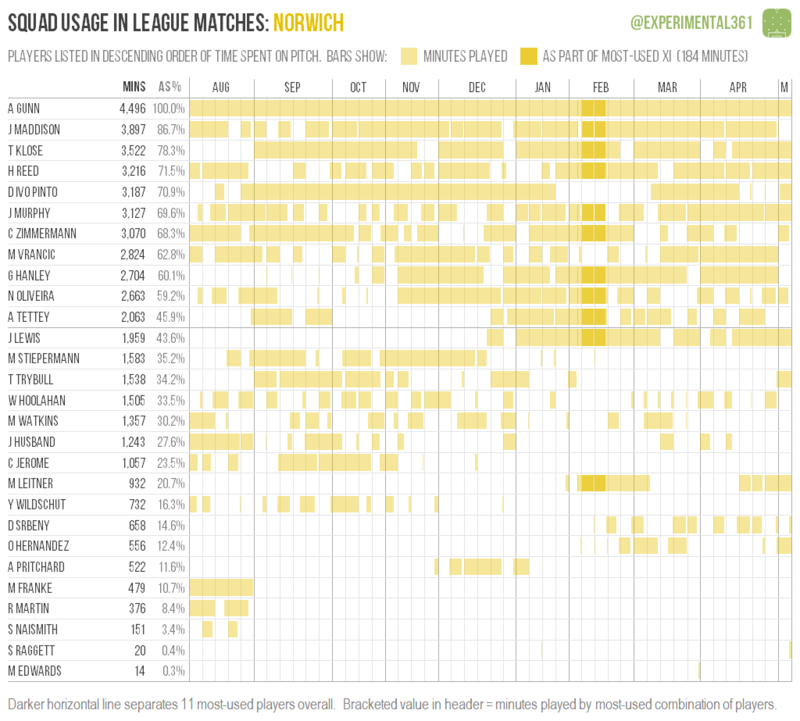 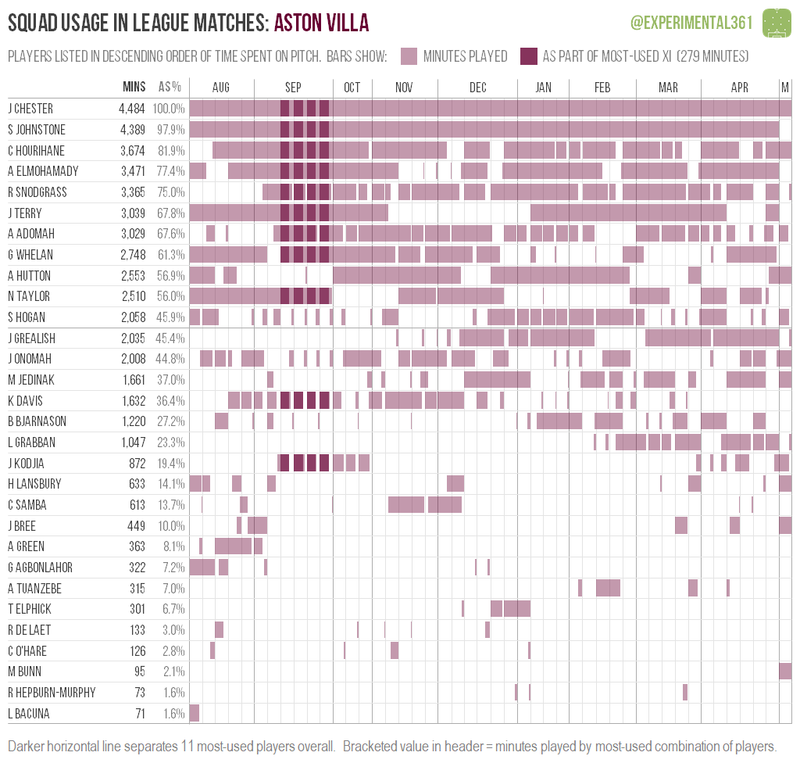 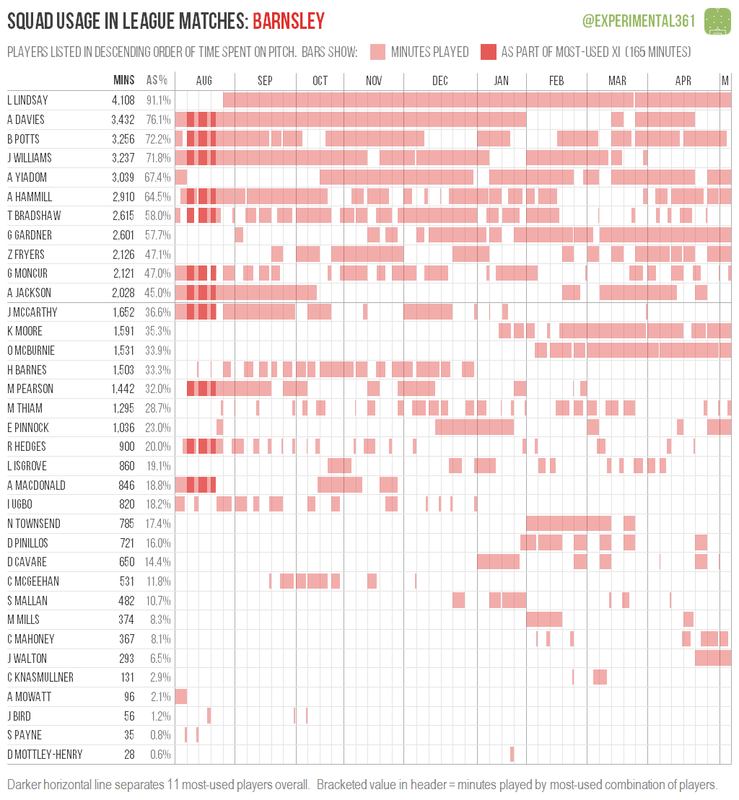 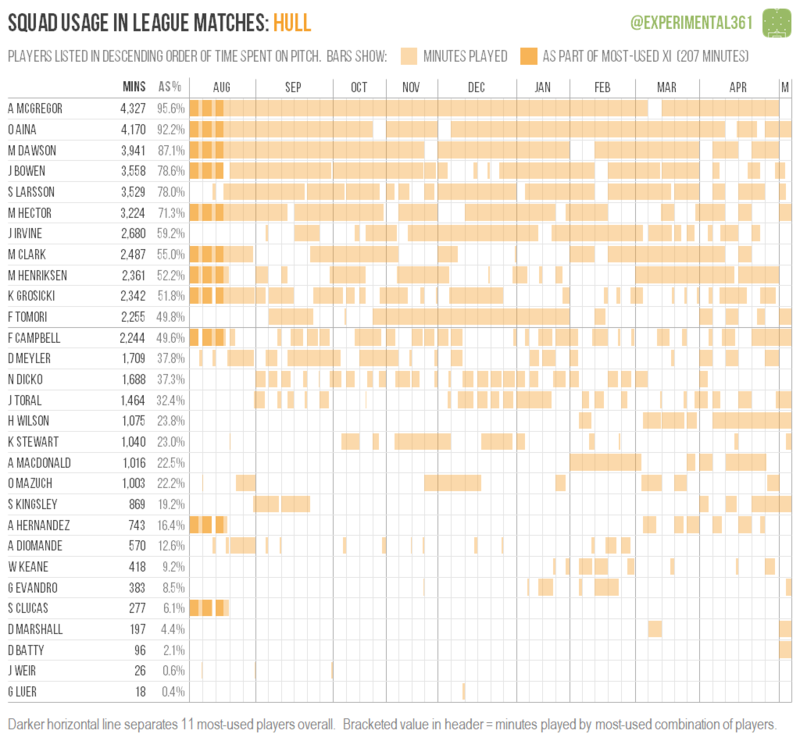 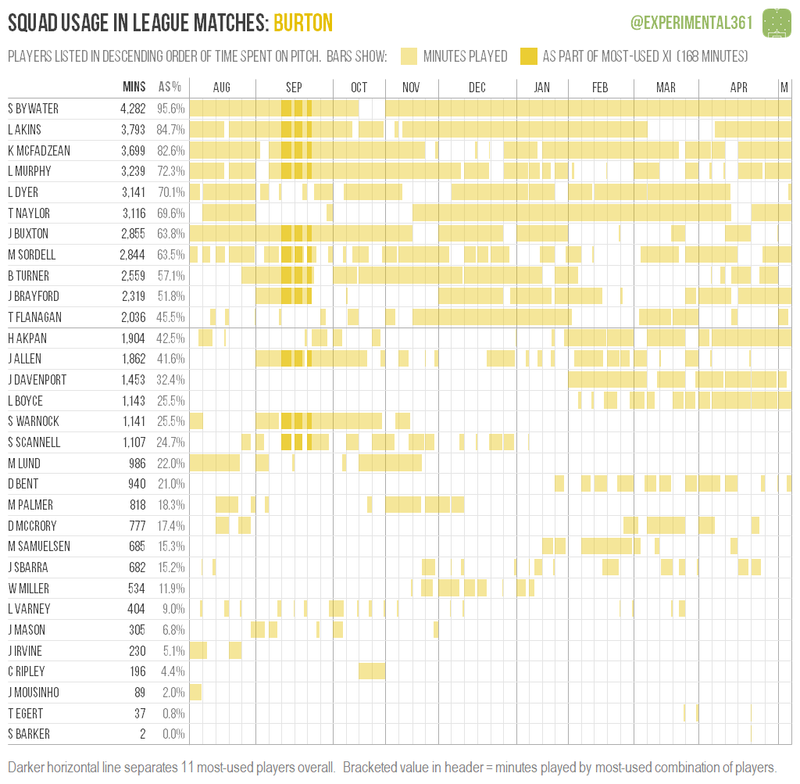 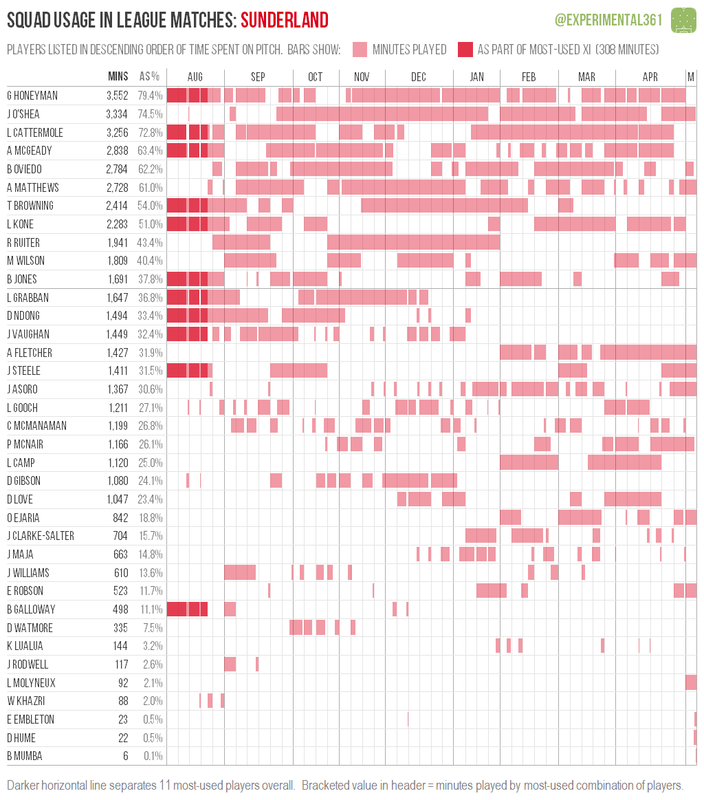 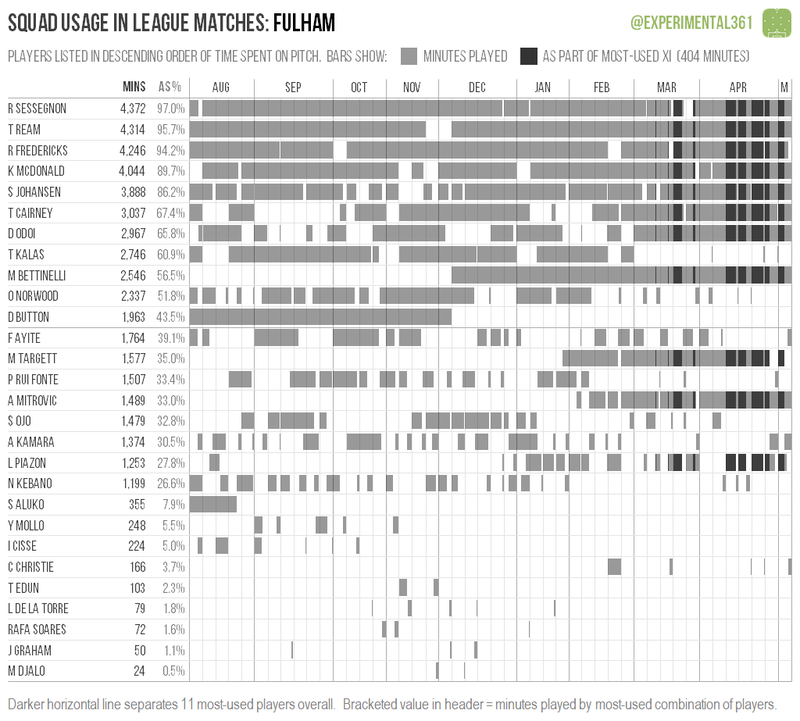 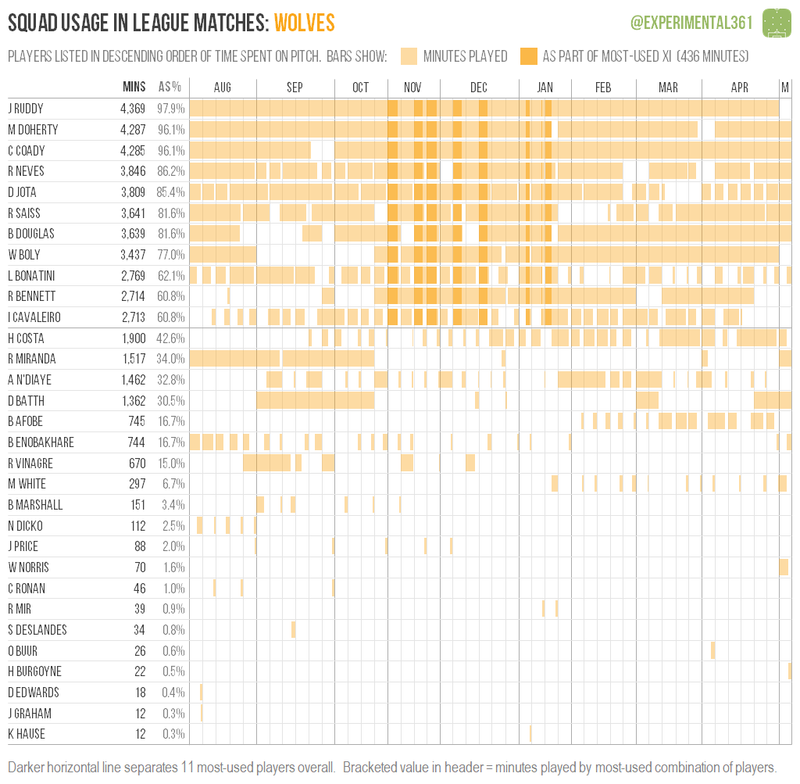 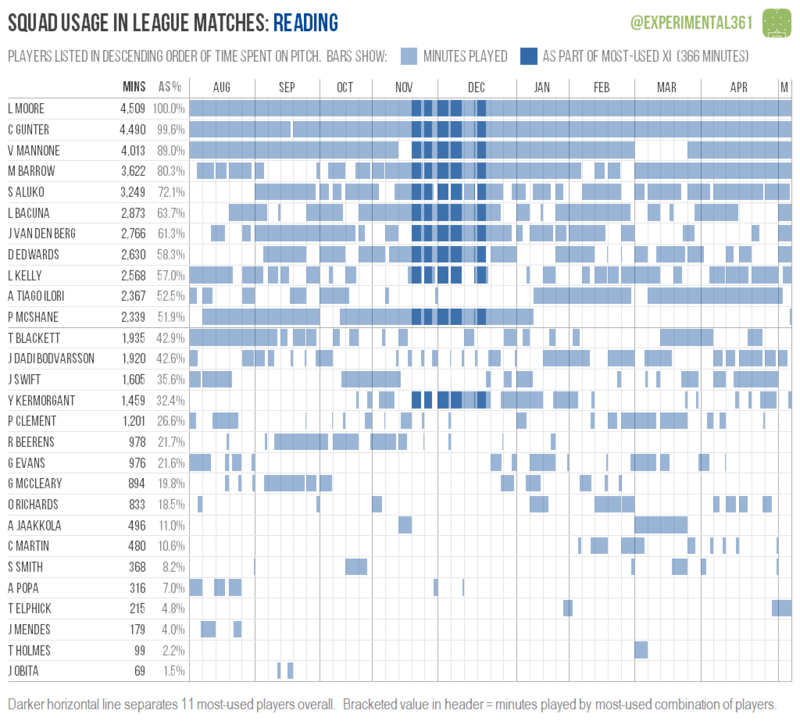 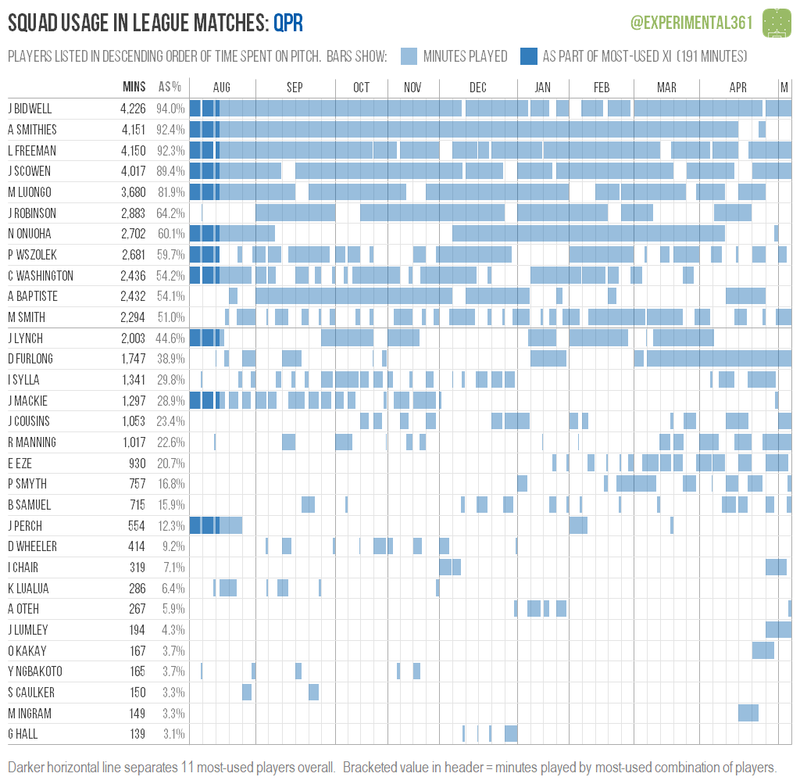 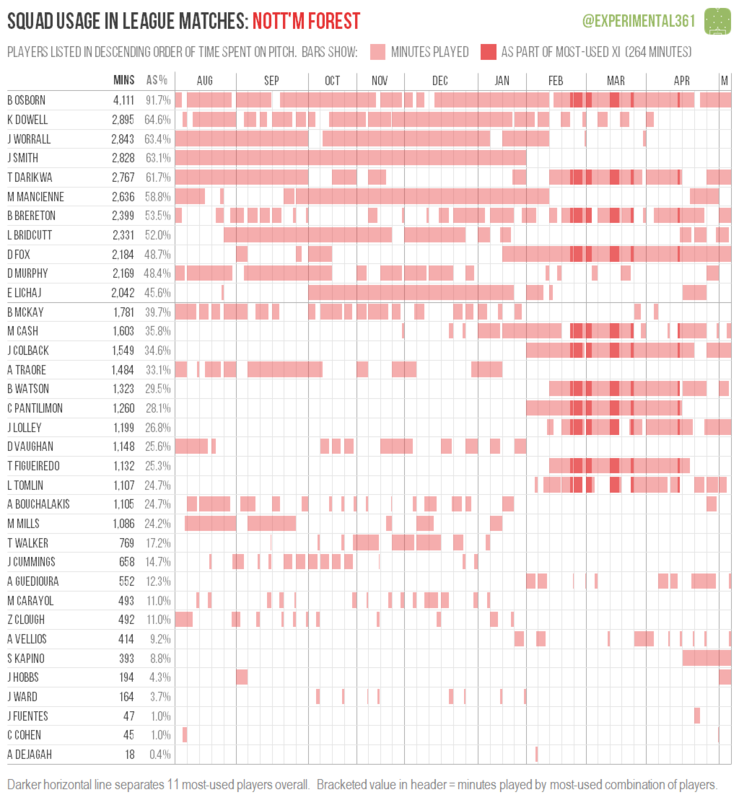 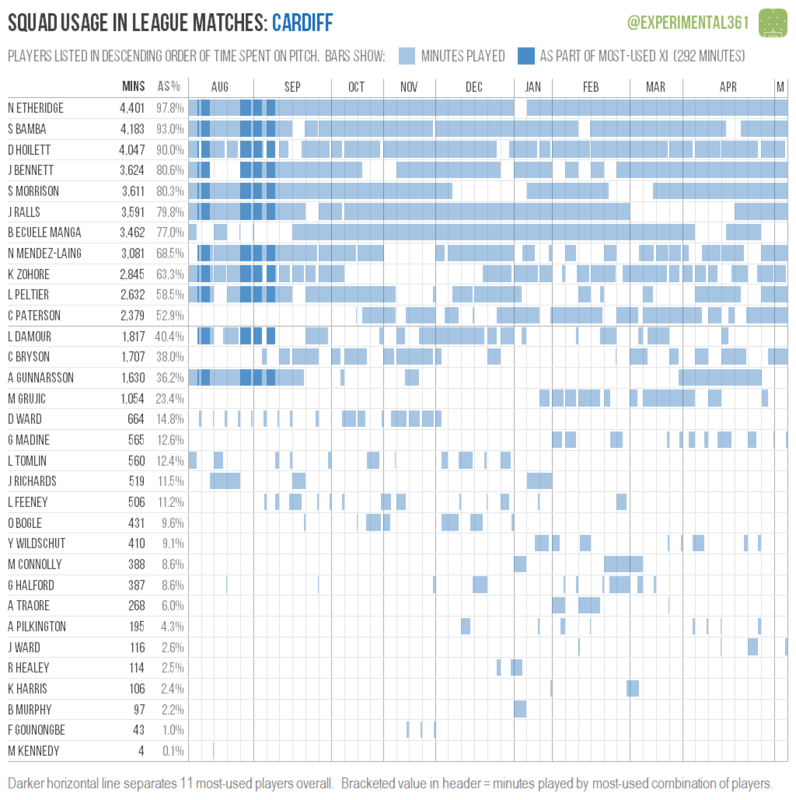 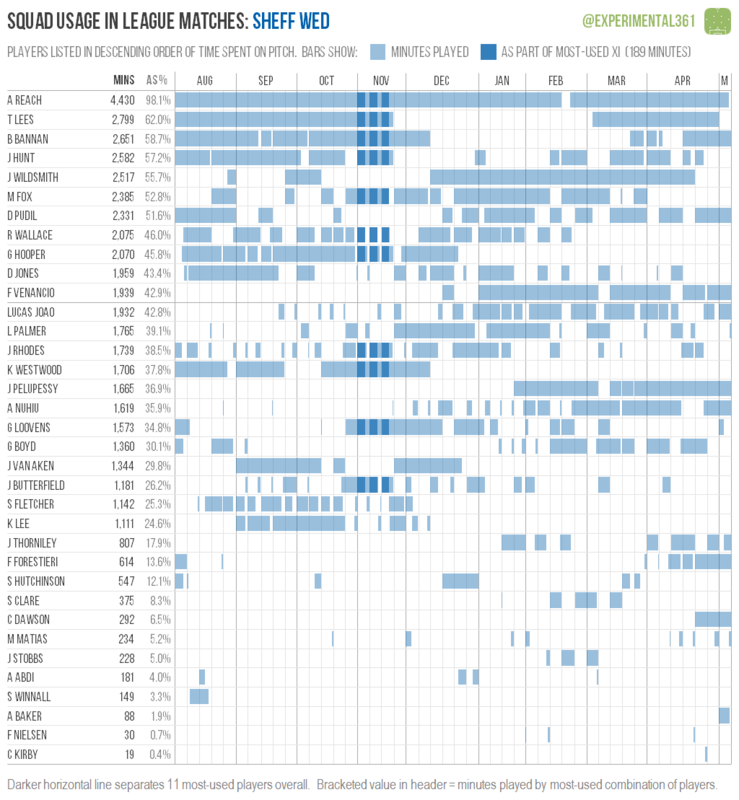 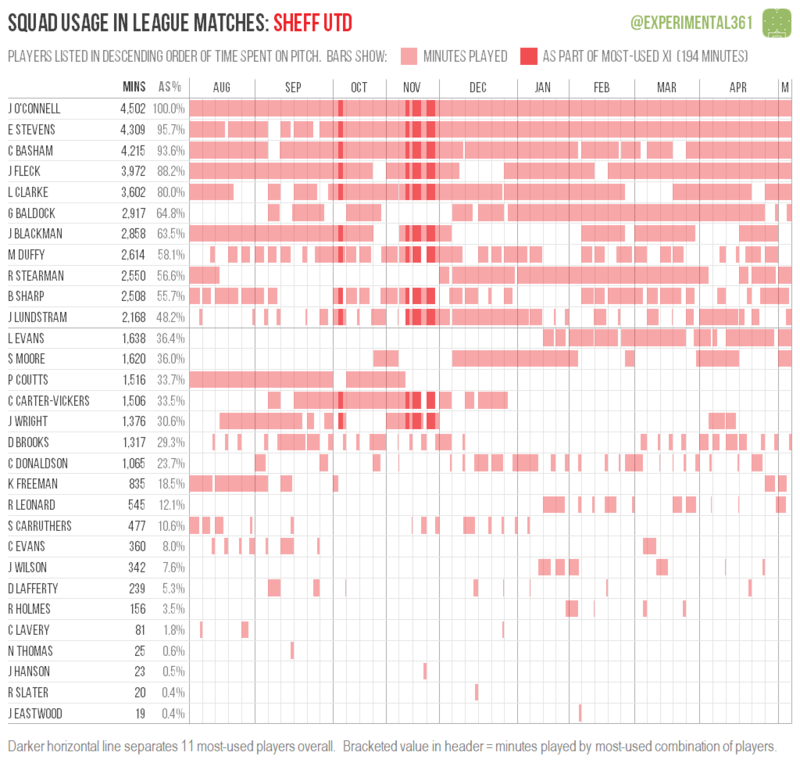 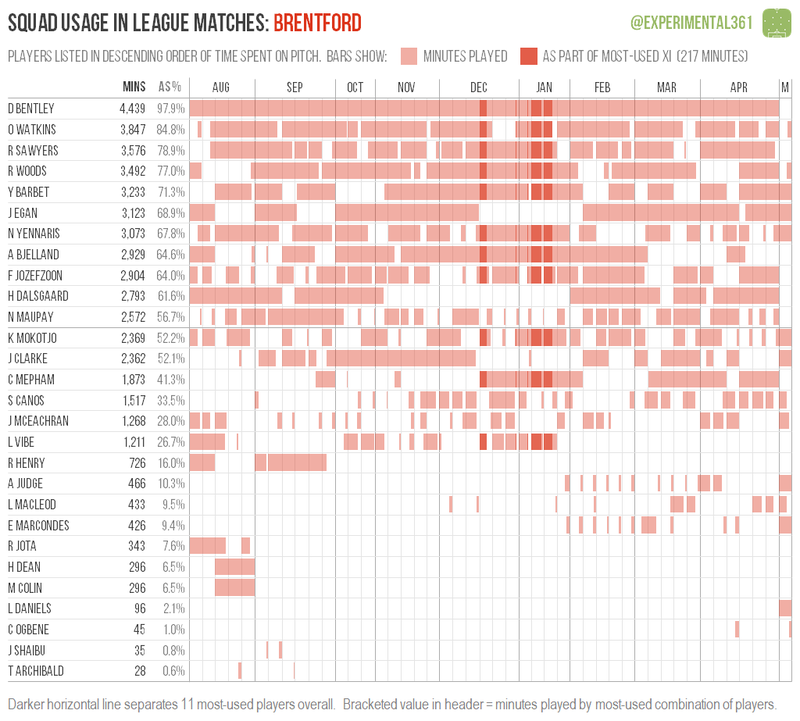 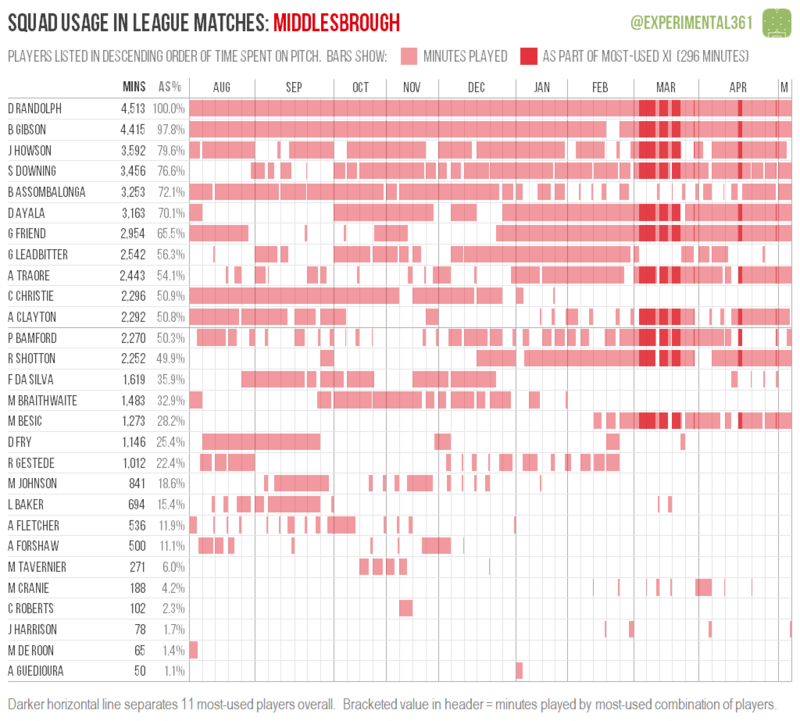 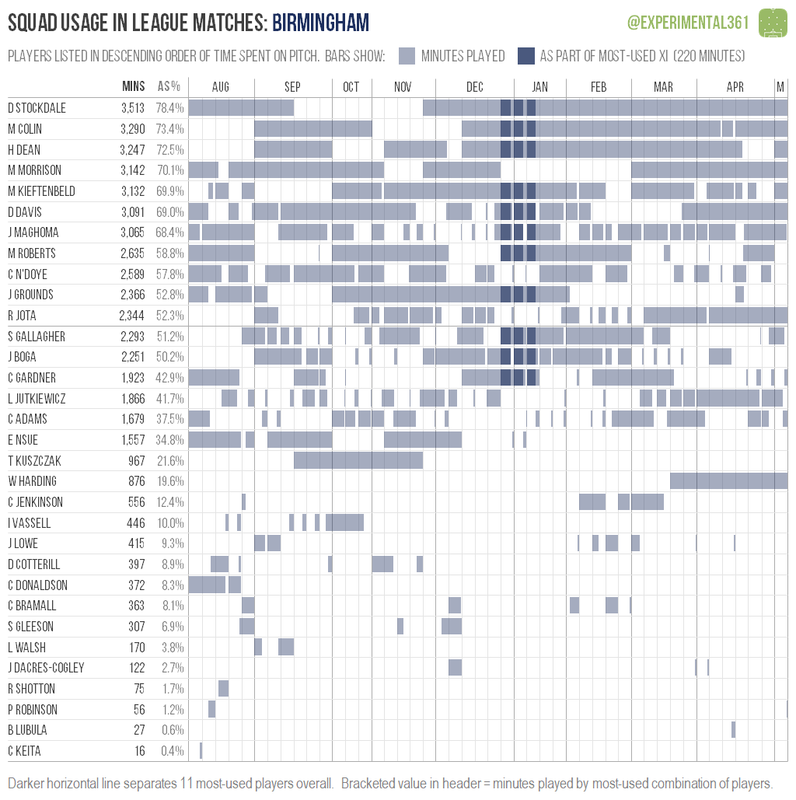 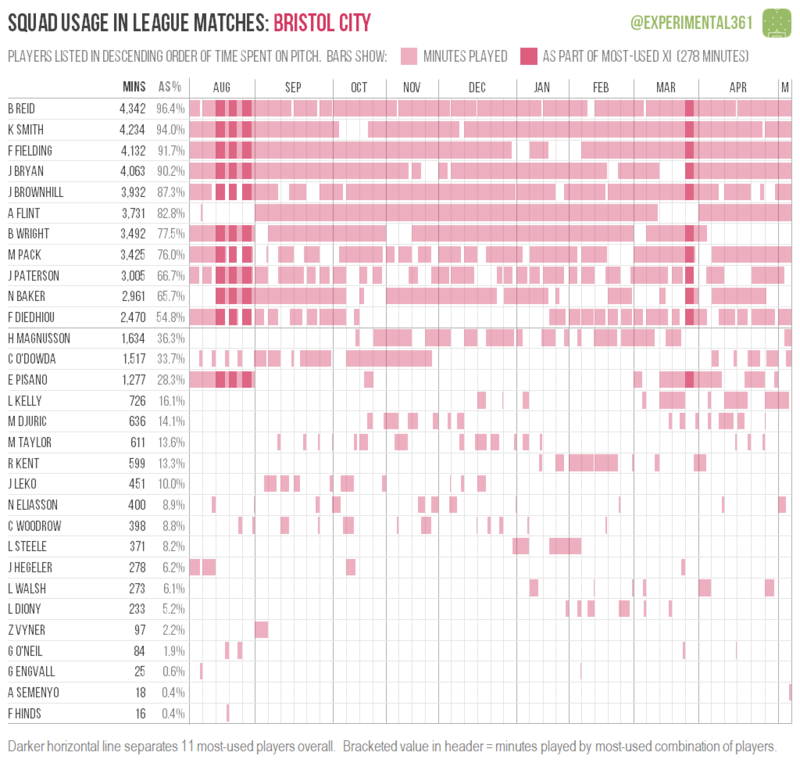 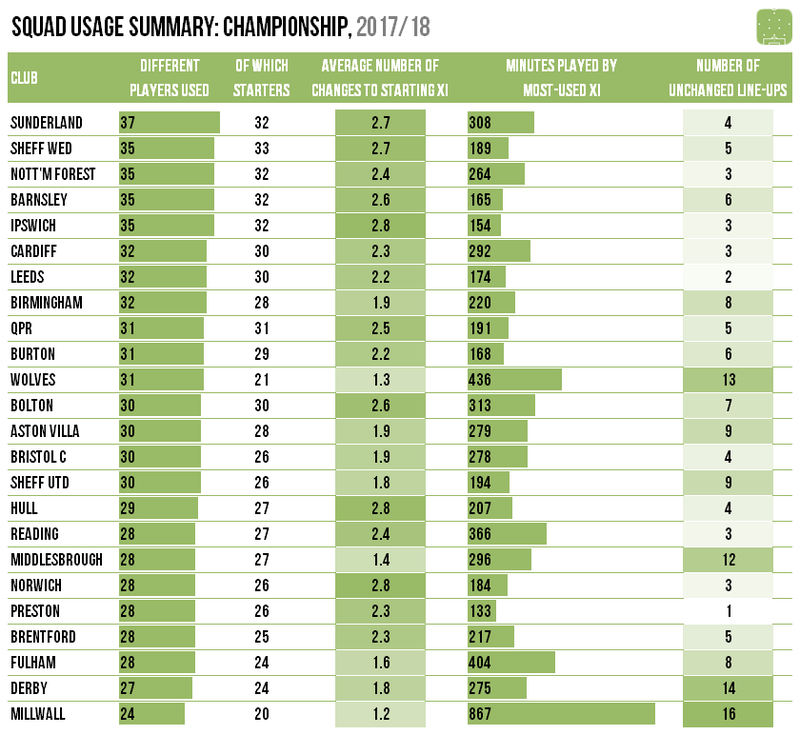 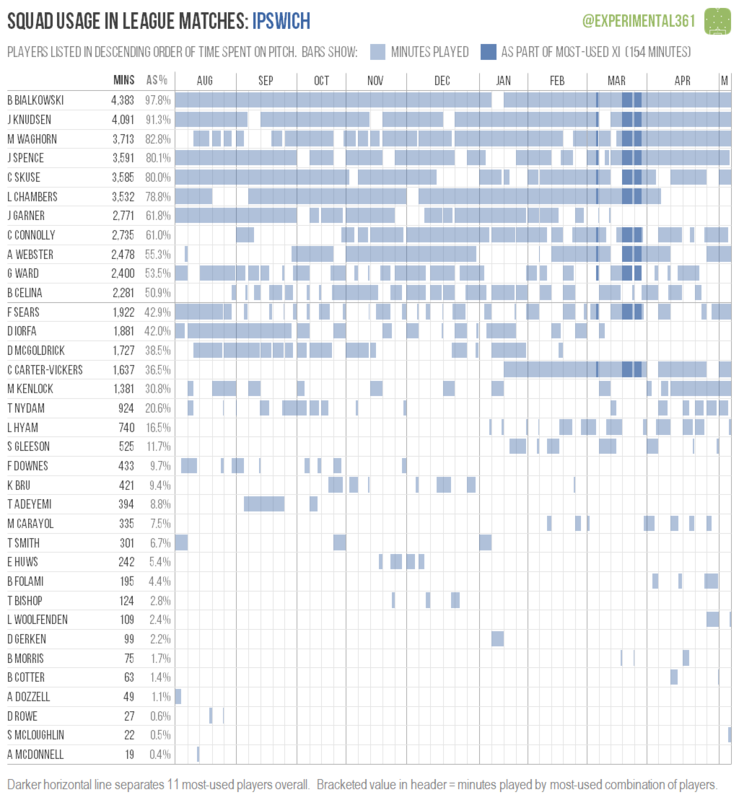 The 37 players deployed by relegated Sunderland was the most of any Championship side – it’s often the case that teams in trouble roll the dice most of all. 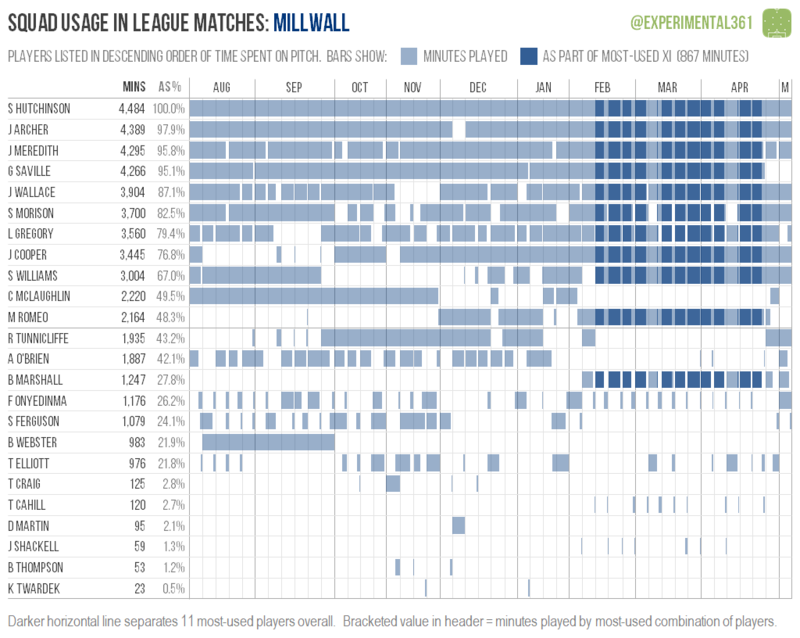 Meanwhile Millwall only used 24 players all season, starting just 20, and on 16 occasions they named an unchanged starting 11 from their previous league match. 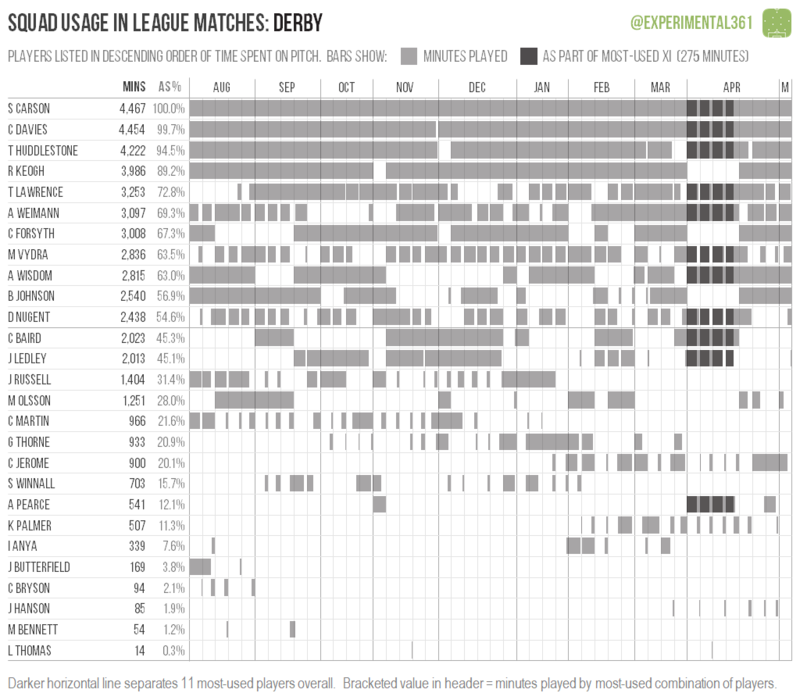 Derby ran them close with 14 unchanged line-ups, but no combination of players comes remotely close to the 867 minutes that the Lions’ most-used group of 11 players spent on the pitch together this season. 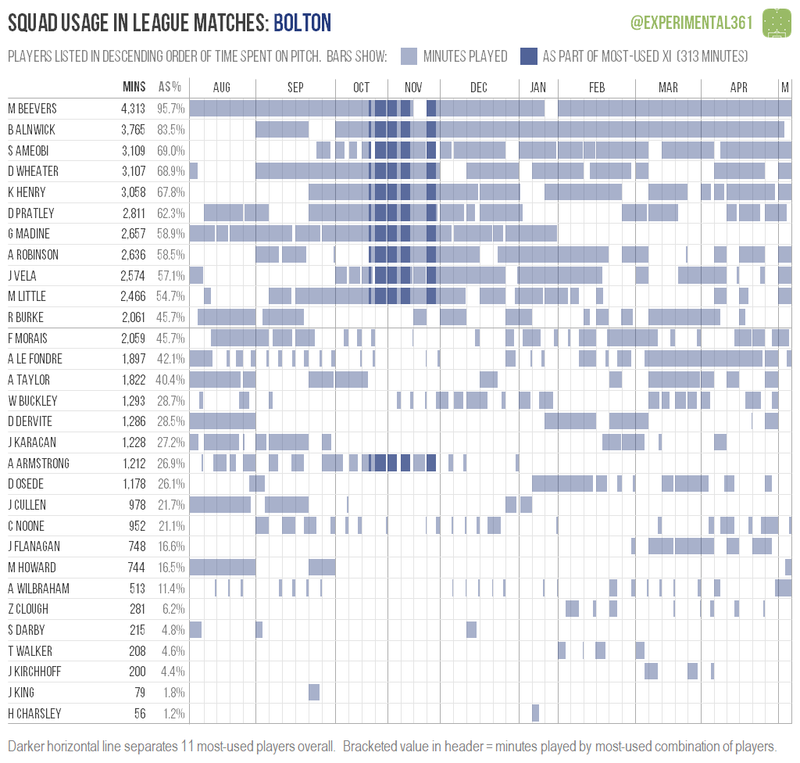 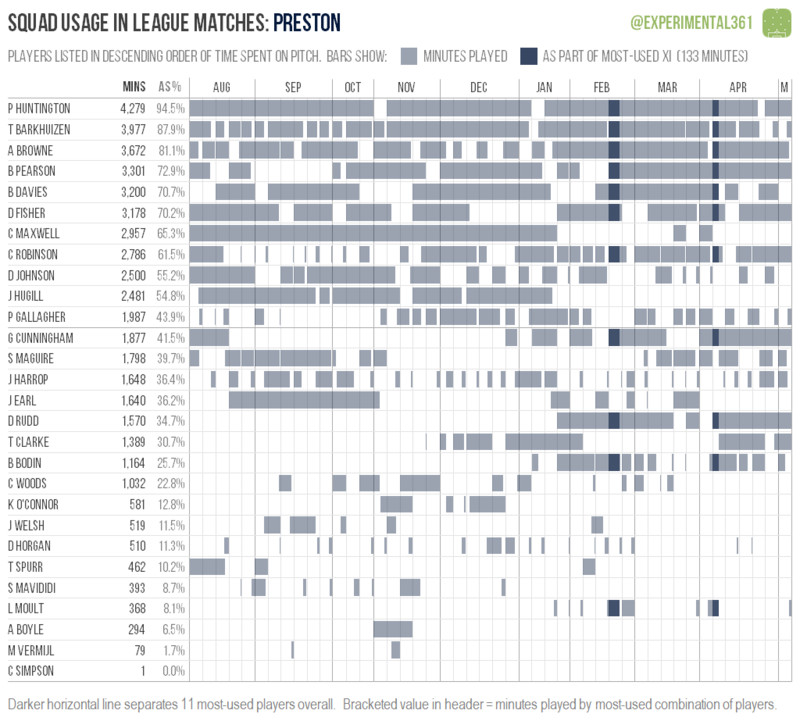 Preston may have only used a modest number of players but they rarely kept the same combination – they only named one unchanged line-up all season and as a result their most-used 11 only played 133 minutes together.